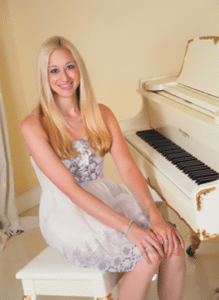 Janelle offers In Home Voice lessons in Newport Beach to ages 5 and up. She specializes in pop technique and theater and also teaches classical. For younger children, the main focus is learning melodies, doing a few vocal exercises, learning basic vocal technique skills, and having fun! For older students, the focus is more on vocal technique and building repertoire. She teaches Beginner to Advanced pop vocal technique which includes specific vocal exercises that are used to increase power, tone, stamina, range, and quality of voice. These exercises should be practiced daily.